The K League Classic is now only a few weeks away and finally the fixtures for the first 33 games has been released. Suwon Samsung Bluewings have had a couple of average seasons which promised a lot but delivered little. Fingers are crossed they will better last seasons finish of 5th. Suwon Samsung Bluewings will once again play all of their home games at the Suwon World Cup Stadium (also known as the Big Bird Stadium) which is located in the north of Suwon. It isn’t the easiest place to access and it’s best to take a bus or taxi. 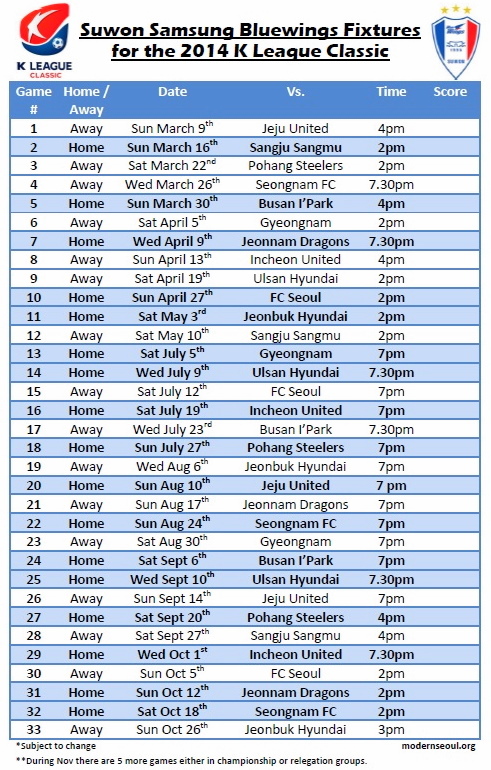 Here are the 2014 K League Classic fixtures for Suwon Samsung Bluewings. It’s available as either a JPEG image or as a high quality PDF file (below). There is one long break you should take note of; From the middle of May to mid July the league takes a break for the 2014 FIFA World Cup. Also during the whole of the 2014 season Suwon City FC will also be using the World Cup Stadium for some games and therefore games maybe affected. Here are a few useful links to find out more information on both Suwon Samsung Bluewings and the K League Classic in general. 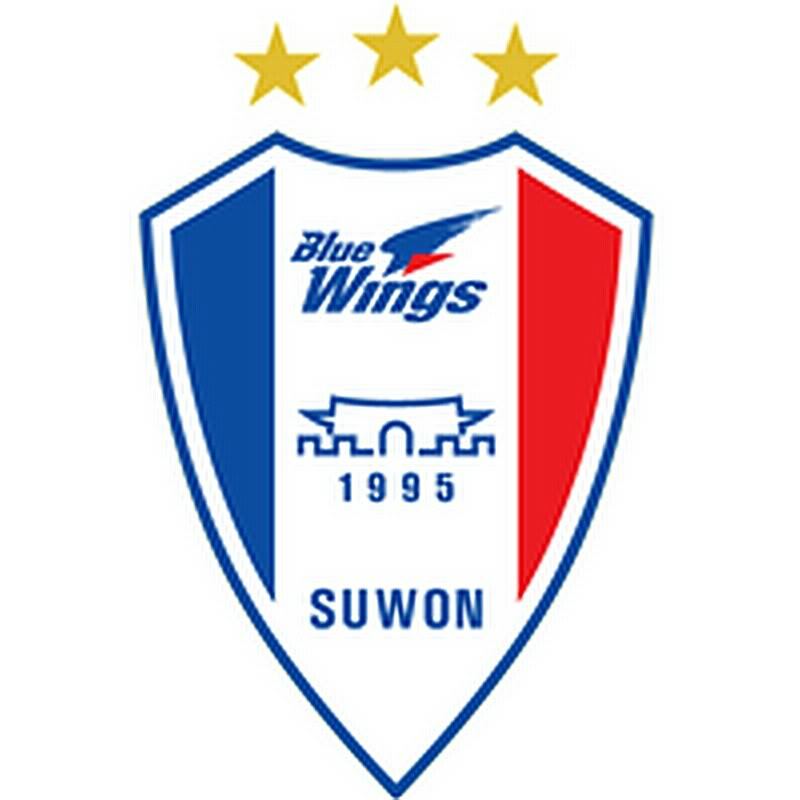 If you have any questions or comments regarding supporting / watching Suwon Samsung Bluewings this 2014 season please feel free to let us know. Also if you have any questions about the K League or football (soccer) in Korea in general please let us know, either via email, our Social Media Homes or by commenting below. We’ll try and release the same style fixture lists for other K League Classic and K League Challenge sides if requested.